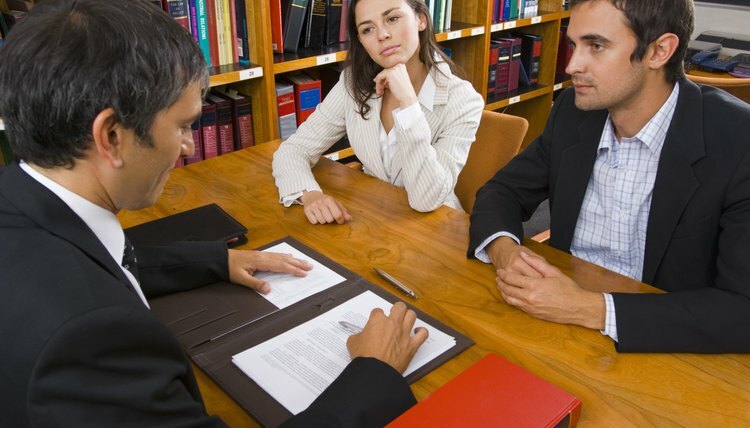 Does a Separation Agreement Supercede a Divorce Judgment? While a separation agreement is often a first step toward a divorce, the divorce judgment provides the final say on the terms of the divorce. The particular laws and legal terminology will differ depending on your state, but generally separation agreements allow couples to maintain some control in an otherwise stressful situation. Either before filing for divorce or as an alternative to divorce, couples may enter into a separation agreement. The agreement provides that the couple will live separate and apart, and spells out the terms of the separation, often including many of the provisions you would find in a divorce judgment, such as property division, alimony, child support and custody. The agreement is a legal contract between the spouses. Depending on the laws of your state, you may have the option, or be required, to file the agreement with the court to ensure it is binding. Depending on the laws of your state, your legal separation agreement may provide the basis for a divorce. For example, in New York, a couple may convert their legal separation into a divorce one year after signing the agreement. The court may then incorporate some or all of the terms of the agreement into the divorce judgment. Without an agreement in place, it would be up to the judge to rule on the terms of the divorce, such as property division and child support. New York State Unified Court System: What is a Legal Separation by Agreement of Parties?